In this session we will be Extending the Space Shooter Project by implementing the "Final Chapter" of the project. Originally intended as "stretch goals" for the student to implement on their own, we will be covering how to add enemies with very basic manoeuvring and shooting, additional hazards of different types and scrolling the background. Please note that this extension to the Space Shooter project was completed in Unity version 5.2. 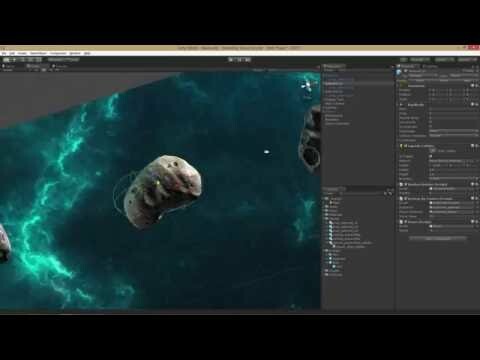 When scripting in Unity 5, there is an important change. Common components are no longer cached and there are no "helper references" access them. The scripts in this extension to Space Shooter have been written to work with Unity 5.2 and do not use these. This is a change from the previous lessons in this series.